From napping on a plane to sleeping in airports and dealing with jet lag, navigating around the challenges of sleeping at an airport can be daunting. We spoke to 6 high-volume travelers who have on occasion been caught trying to grab sleep at an airport. Here is what they shared. 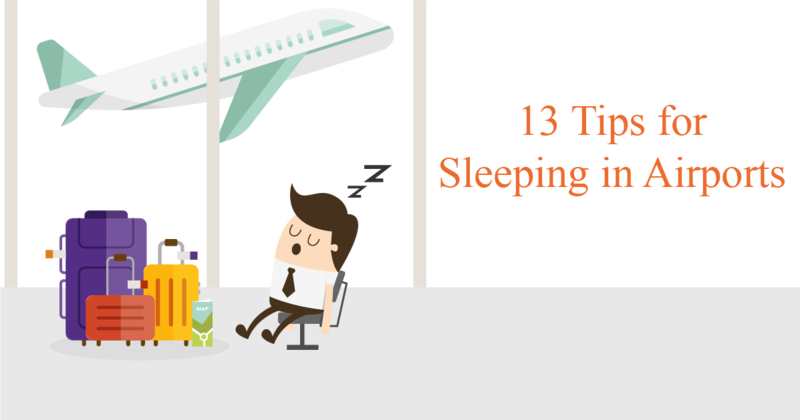 As a business traveler, you are constantly on the go and often running on little to no sleep. Waking up early to catch flights and adjusting to different time zones can take a toll on your sleep schedule. A lack of sleep can affect your performance in the workplace and your overall attitude during the day. The following sleep “hacks” will ensure that you catch up on your Z’s whether it’s at the airport, on the plane or when you finally reach your destination. Whether you’re stuck overnight due to storms, delays or plane repairs, or just have a long layover, these three tips will help you successfully (and safely!) sleep in an airport. Many airports have specific sleep rooms that are designated specifically for naps or relaxation. You may be surprised how many airports actually offer sleeping accommodations such as Minute Suites and NapPods. A lot of these airports have amazing accommodations including massage chairs, relaxation “zones” and even a “Spa on Air” service where you can take a warm shower after your nap. Your safety when sleeping in public is always important. You’re always safer in groups and having other travelers near you when you nap also helps to ensure that your luggage is also left alone. It also might be a good idea to ask the person sitting closest to you if they could keep an eye on your bags while you take a quick nap. One of our high volume travelers is an advocate of writing signs for others to wake you up if you have no way of setting an alarm. She remembers a time where writing a note would have been a good idea for her husband. “He fell asleep waiting for his flight at the gate lounge. He woke up to find the lounge empty and the flight departed. So let’s say that you actually boarded your flight and some shut-eye is an actual option. These following seven tips will ensure that you get the best sleep possible on your flight. These tips are especially helpful if you’re on a red-eye or a long international flight. According to a previous post we did about sleeping on planes it might also be beneficial to pick a seat on the side of the plane that you would normally sleep on if you were in your bed. Your sleeping position is also important. Would you prefer to lean your head against the window? Pull out your tray table? Or you could even sprawl across the entire row (if you happen to be lucky enough to not have any neighbors). Another good idea would be to bring a jacket or your own blanket on the flight. I often find that I personally get extremely cold on planes and sometimes the airline will not have enough blankets to go around. This is also important for safety. It’s the crew’s job to make sure that your seatbelt is fastened during the duration of the flight so that you and others around you stay safe. It’s extremely tempting to unbuckle your seatbelt as the large hunk of metal tends to get in the way of comfortable sleeping, but to avoid being woken up, just keep it fastened! Drinking water on flights is essential. Dehydration can cause unnecessary stress to your body. Add that to lack of sleep and jetlag and you’re sure to feel it. To avoid having to wait for the drink cart to come around, just buy a bottle of water after going through security in the terminal and bring it on the plane with you. Adding the light from your screens can worsen your sleep quality and even give you headaches. Turn off the iPad and put your phone on airplane mode and get some shuteye. Trust us, your body will thank you later! And don’t worry, those emails will still be there when you land. Neck pillows are essential in any seat, but especially if you find yourself on a middle or aisle chair. Neck pillows are great for comfortable sleep and help to avoid a stiff neck and back that can occur if you sleep sitting up without one. One of our previous posts discusses at length why sleep masks are essential. These masks are great for letting your body sleep in total darkness on your flight, at the airport and even once you get to your hotel room. Sleeping in total darkness is much better for your health as it improves the overall quality of sleep and as one of our high volume travelers shared, they are a frequent migraine sufferer and said many times one of those sleep masks have saved their life on a long (and bright) flight during the day. Thank you for reading today’s blog on corporate transportation. Please visit us every week as we cover a wide range of topics around business travel and how to make it a better experience. For more information around the transportation industry, visit our blog page.